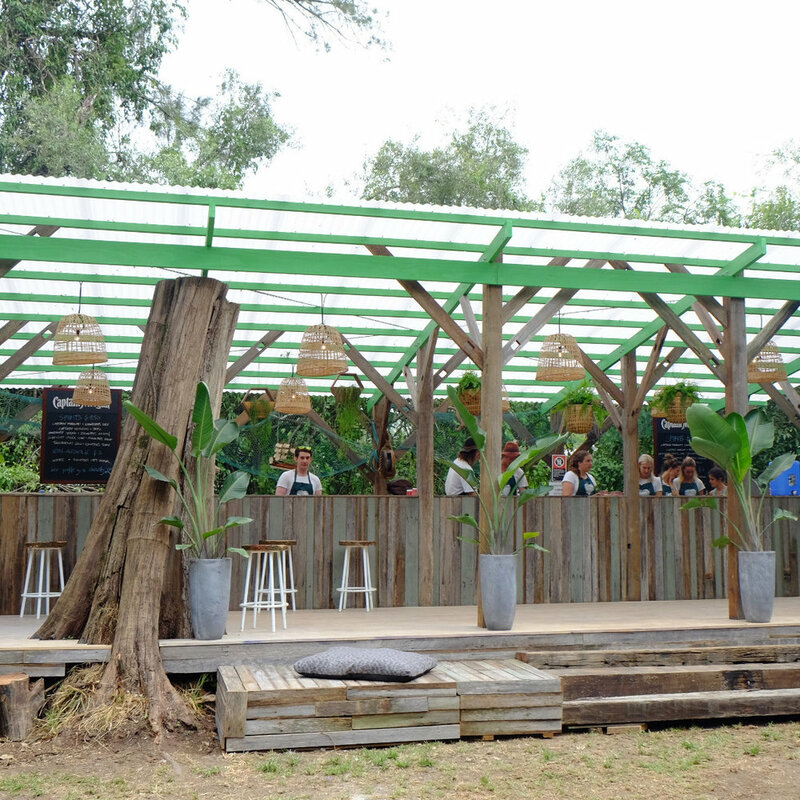 The forest cocktail garden bar for Secret Garden Festival was inspired by the concept of a veranda. The bar integrates an existing tree stump and features reclaimed Australian hardwood throughout. 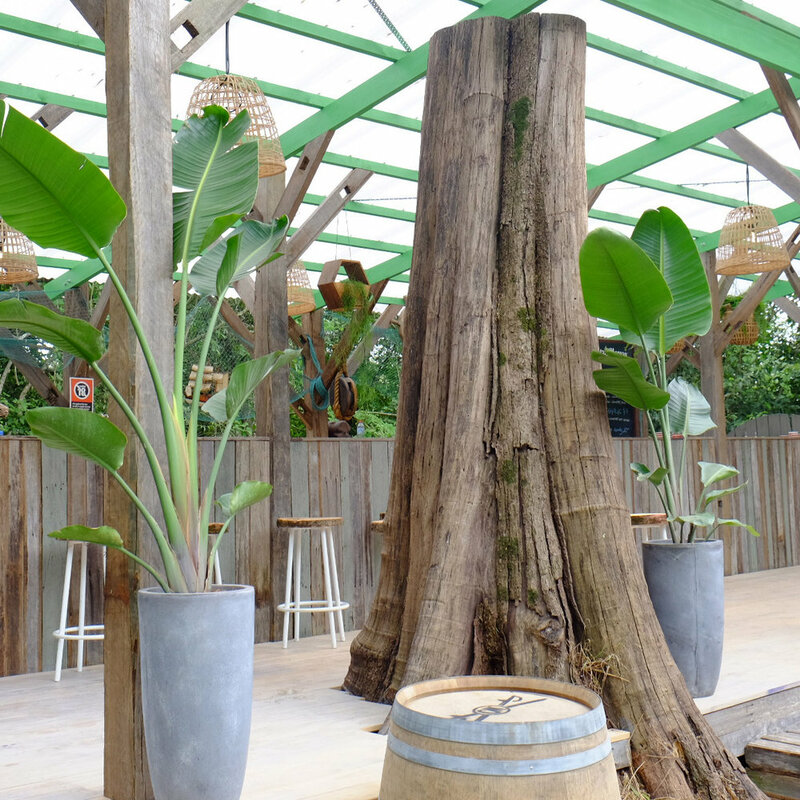 The forked columns are reminiscent of trees and the fresh green highlights weave the forest bar into it’s lush, natural surroundings.